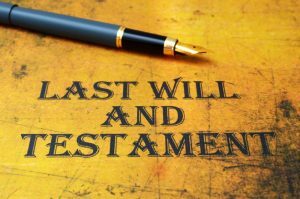 Most people know what a will is but usually don’t think about obtaining one for themselves until they are facing death in the distance. Unfortunately, death is inevitable and cannot be predicted when it will happen. This is why it is important to start thinking about your will and the will of your loved ones sooner than later. When someone dies and they do not have a will set in place, default laws of distribution and taxation will take place and leave family members or heirs with little control. Joseph C. Crudo, PLC in San Diego offers attorneys for drafting wills and estate planning. The most obvious reason to acquire a will is to set control of your assets after you pass. This will determine specific guidelines for your assets, including distribution to family members, friends or charitable organizations. Care for your minors is important if you pass away abruptly. Your will will determine who gains guardianship of your minors in the event that you and your spouse (if applicable) should pass. This will determine what course of medical action should be taken when life sustaining treatment is available. This prevents family members from having to make the decision for you since you have it documented. Why Should I Have an Attorney Draft My Will? When it comes to your possessions, estates, and family, it makes sense to have an error free document left behind after you pass that clearly outlines your wishes. Our team of legal experts will provide you with the security of knowing that your estates will be left in the hands of your heirs and not defaulted by tax and distribution laws. There is nothing worse than having a will and discovering that there was a problem with it after it is too late. When it comes to your security, it is best to leave it in the hands of a professional lawyer. We apply diligent attention to detail when it comes to drafting your will, leaving no room for error. This type of perfection won’t be achieved with a paralegal, online writing service, or if you do it yourself. There is no room for error when it comes to your last wishes. Do not let chance decide where your assets and care of your minors go when you pass away, turn to our will and estate planning attorneys in San Diego at Joseph C. Crudo, PLC to get your affairs in order before it is too late. You can visit our contact us page to fill out our online contact form, or give us a phone call at 858-622-7280.